The guidebook can’t tell you everything. 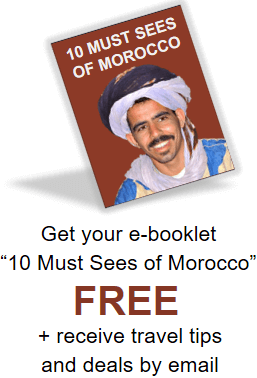 When researching traveling to Morocco, you’ll come across lots of articles about the “Top Things to Do in Morocco” or “Things You Shouldn’t Miss in Morocco.” These articles are very helpful to make sure that you don’t miss out on the major cities or best attractions of Morocco (we have some of these ourselves), but they also only give a very general overview of where you should go. 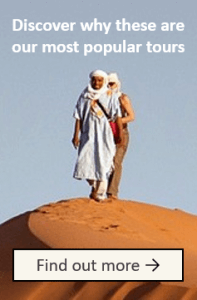 What about the unique things that only people who have lived in Morocco know about? What about the slightly funny and maybe a little unconventional checklist that you can’t find on normal travel websites? To write this blog, we asked ourselves: If some of our best friends were coming to Morocco to the first time, where would we take them? What would we tell them to see or try? 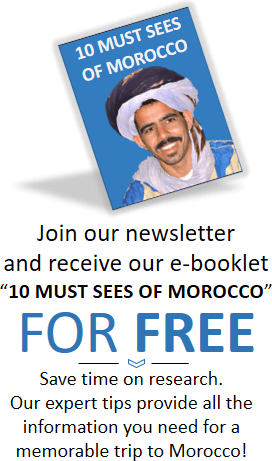 Here is our local list of things that you should keep an eye out for on your trip to Morocco. These are all accurate based on the time they were written–however, be aware that prices or locations might change. These snacks / light dinners are made with either an orange juice base or an avocado and milk base. Loaded with whatever fruit is in season, nuts, raisins and maybe even a little ice cream, they are the perfect snack stop. The “Disney Channel Café” is a only few doors down from our local office in the old city of Fes…say hi on your way over! You can smell the snails even before you see them, making “Snail Street” was a classic landmark to tell where we were at in the medina. You’ll get a bowl full of steaming hot snails and a safety pin to dig the meat out with. You might be a fan, you might not be, but it’s a good experience to tell your friends about! If you go to Morocco in the summer, there will be soft serve ice cream stations everywhere. Stop at one and pay anywhere from 10-25 cents for one of these cones. Sweet and refreshing! Most people won’t ever hear about this food when they come to Morocco, though they pass it by on the street without even knowing what it is. As you walk down the main streets in the Fes Medina, you will see these cream colored domes in shop displays. Some have asked if it is ice cream, but it is really dried meat stored in lard! Perhaps that sounds unappealing to you…but when the lard is cooked off, you are left with a salty beef-jerky like meat. Crack an egg in there, and you have breakfast! These only recently made it to the United States and that was a relief for everyone who has ever tried these in Morocco and other countries! Heaven. Absolute heaven. This almost goes without saying, but is still important to reiterate. Branch out and try all the breakfast foods you can…whether it is the flaky malawi, the cornbread-like harsha, the fresh croissants or baguettes, or warm khobz! You will probably never pay this much for a Coke again (unless you are in the airport) but the view is worth it. See if you can find anything that’s not on the menu from your home country! What names of foods are different? The little hanuts, or small stores, that are everywhere are the place to be. Every kid who has gotten a couple of Moroccan dirhams knows what it is like to stand in front of the display and choose which candies they can afford. The question of the century: do you go with the cheap mints or the slightly more expensive chocolates? No matter what else you end up buying at the hanut, you absolutely have to try some of the gummies. For about 50 cents, you will walk away with a decent handful that will only leave you wanting more. Sometimes these gummies were the first stop for our family members that visited us from the United States…they would buy out the little store. It is cultural to have henna done before you go on a trip somewhere. Before you leave Morocco, have some done! Do try to avoid the black henna, though, as it is often bad for your skin. No Dr. Pepper or Rootbeer here! Instead, try the apple flavored Pommes or the lemon Schweppes Citron. Both are sodas that we have never seen in the United States and both are very delicious! This cultural experience is one that many Westerners feel a little uncomfortable with. After all, public baths aren’t exactly common practice there. However, to be truly clean for maybe the first time in your life, strip down and get scrubbed with traditional soap and shampoo. Remember to bring a headscarf to wear afterwards! Of course, after you have had this great cultural experience, you will realize that you cannot achieve this standard of cleanliness with your typical washcloth. Remedy that immediately. These pure oils are so strong that you only need a few drops in water to make a perfume! Jasmine and rose are two of our favorite fragrances.. It is absolutely incredible to watch the process of a massive boulder being transformed into a glossy sink or table with fossil patterns in it. There are other fossils to look at in the shops as well…any kids traveling with you will love seeing the shark teeth. Find the tallest dune you can, and hike up it early in the morning. Enjoy how the sun changes color and spreads its light across the rest of the golden dunes! You’ll see little crepe shops all around this fishing village…make sure you stop at least once (or twice, or five times) to sample these delicious crepes! Yes, it might sound touristy. And yes, it is a little bit touristy. But every once in a while, you have to embrace the tourist activities, especially when it means clip-clopping through this busy city at sunset! You are going to miss the food of Morocco when you return to your home country. That’s a fact. Make sure you know how to make at least one authentic dish so that you can remember Morocco through its food! The best part of the activity will be sampling your handiwork at the end…if you are successful. 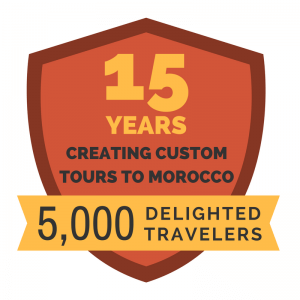 We hope you enjoyed this list of our favorite Morocco to-do’s! The more you can incorporate in your next trip, the better. Read about some of our top itineraries for crazy fun trips here or contact us about customizing a tour for your own trip of a lifetime! Did you enjoy this post? Join our mailing list today to receive our best blogs, travel tips, and exclusive discounts!